There’s a couple iconic photographs from space that everyone is familiar with. The most recognizable is probably this one I used a couple years ago during the 40th anniversary celebration of the Apollo missions showing Buzz Aldrin standing on the dusty surface of the moon. A few other notables are ones like Earthrise, The Pale Blue Dot and the STS-1 mission liftoff (note the white external fuel tank, one of only 2 to have it) but above them all stands the Blue Marble, an incredibly breath taking view of our earth as seen by the Apollo 17 crew on their mission to the moon. It’s a beautiful photo and one that changed my, and certainly many others, view of the world. I don’t know why I used to think this but before seeing this picture I imagined the world being mostly cloudless, not covered in the swaths of thick cloud that you see in the picture above. It also puts your entire life in perspective, much like the Pale Blue Dot does, knowing that in the end we’re all clinging to this giant water covered rock shooting through space. The original picture is some 8000 x 8000 pixels large (64 megapixels) and gives you an incredible amount of detail. The resolution is high enough for you to be able to pick out topographical details with relative ease and you can even see the shadows that some of the clouds are casting on the ground below them. The original article that was linked to me had a lot of interesting comments (a lot on how the Americas appear to be somewhat distorted) but one that caught my attention was a question about one of the differences between the two pictures. Why, they asked, is there no thin blue halo in the original picture? The halo they were referring to is clearly visible if you view the larger version of the new Blue Marble picture and seems distinctly absent in the original. The planet hasn’t radically changed (geologically, at least) in the time between the pictures so the question is a curious one. To figure this out we have to understand the differences in how both these images came to be and in there is where our answer lies. 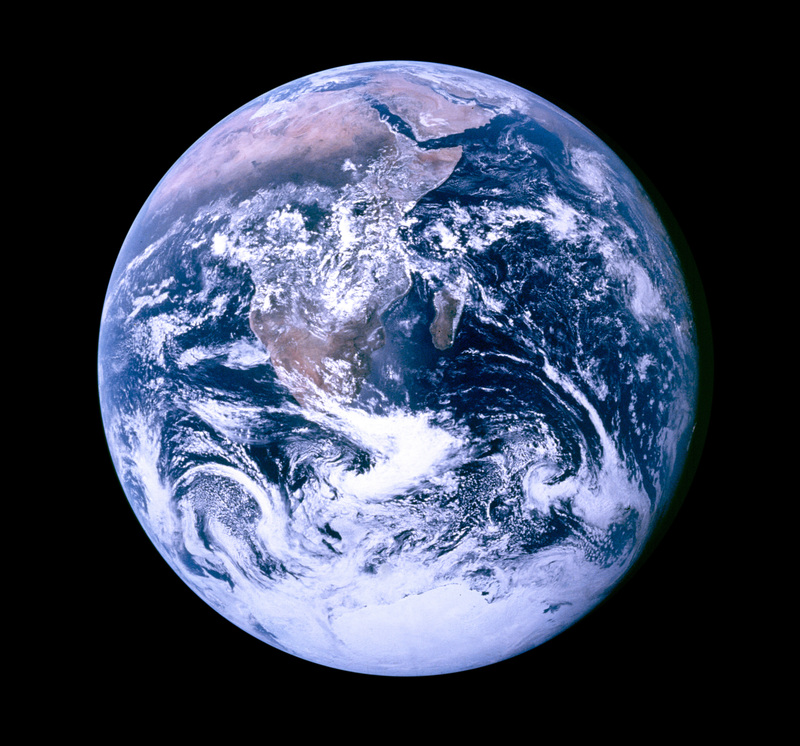 The original Blue Marble was taken by a single 70mm Hasselblad camera with a 80mm lens at a distance of approximately 45,000KM away from the Earth. The newer version is a composite reconstruction from several images taken by the Suomi NPP satellite which orbits at around 500KM above the Earth’s surface. Disregarding the imaging technology used and the reconstruction techniques on the modern version it becomes apparent that there’s a massive difference in the distance that these pictures were taken. Looking at the halo you’ll notice that it’s quite small in comparison to the size of the Earth so as your distance from Earth increases the smaller that halo will appear. So for the original Blue Marble the halo is pretty much invisible because the resolution of the camera is insufficient to capture it. The newer picture, being much closer and having a higher effective resolution, is able to capture it. These kinds of images are always fascinating to me, not just for their beauty but also for the story behind what went into creating them. The number of man hours that went into creating something like this that appears so simple is staggering and demonstrates that we, as a species, are capable of great things if we put our minds to it. 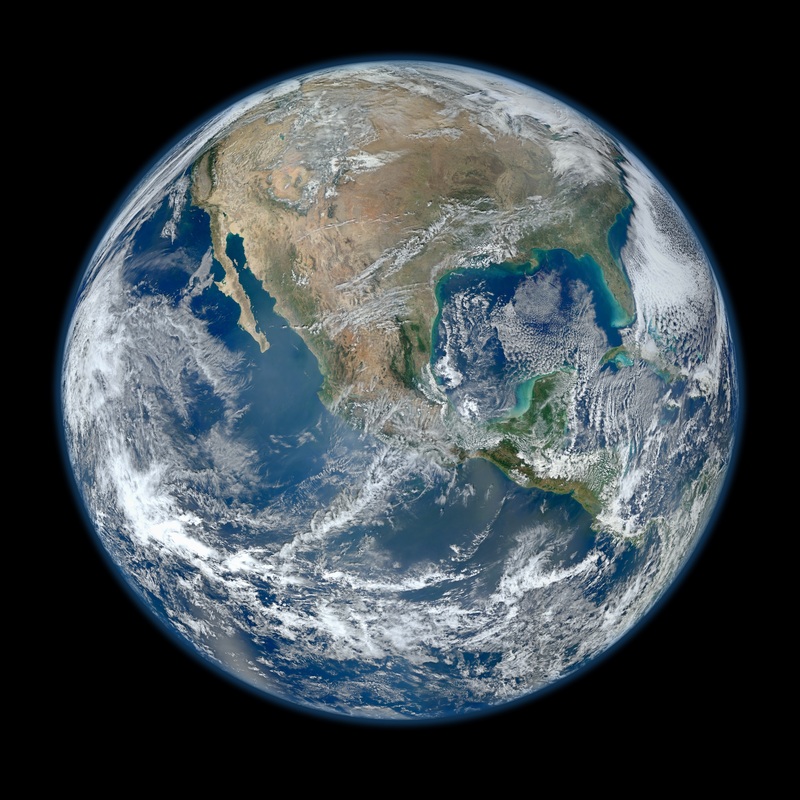 The Blue Marble 2012 might not become the icon that its predecessor was but its still an awe inspiring image to look at and even more interesting one to contemplate.